Life is full of conflict. But why does it happen? And how should we approach it when it does? 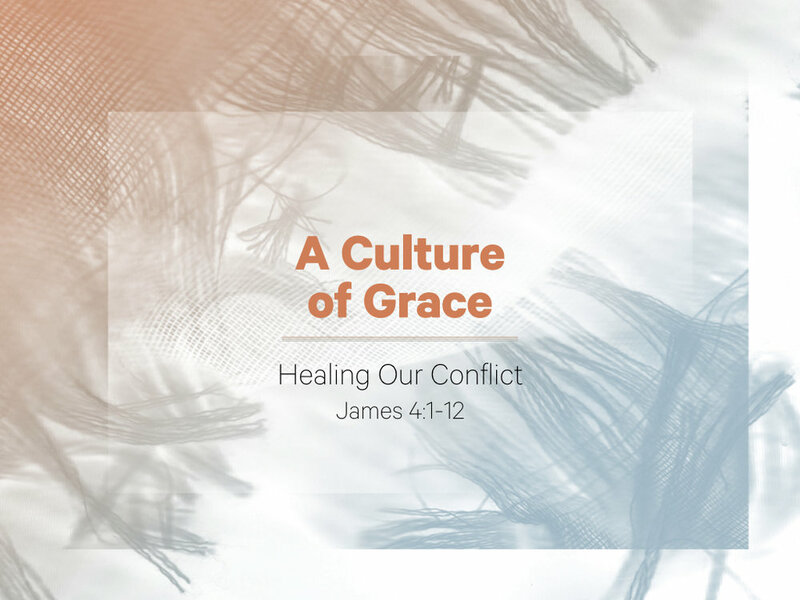 In James 4:1-12 we find a surprising and healing answer to our conflicts. Wisdom isn’t merely about making good choices; it’s about who we become over time and what matters most. We learn from James 3:13-18 how to avoid the false wisdom that destroys us and where to find true wisdom which transforms us. Why are words so powerful? And how can we ensure that their impact is helpful, not harmful? In James 3:1-12 we discover how God’s word transforms our words. Most religions talk about faith, but often in very different ways. What makes Christianity so unique? How does the Bible define faith and why is it of such great importance? Looking into James 2:14-26, we find what it truly means to have faith. Favouritism and partiality can easily appear in our attitudes and affect not only small communities but entire groups. Why is this dangerous and what can expose and replace it? James 2:1-13 reveals how the grace of God wonderfully changes the way we view ourselves and others. How does the grace of God in our lives enable us to strengthen other people? John Wyatt shares with us some insight from Isaiah 42. John is a respected theologian, author and Professor of Ethics and Perinatology at University College London. From the book of James 1:19-27, we discover how a right relationship with God frees us from the temptation of hypocrisy and enables us to live with freedom in light of the truth of the Gospel. How do the desires of our lives shape the direction of our lives? What does the Bible say about how we discern the longings within our hearts? We learn from James 1:13-18 how the gospel redirects our lives by reordering our desires. How does grace enable us to face trials in a way that doesn't set us back but transforms our character? In James 1:2-12 we discover how the gospel changes us from the inside-out. This is the counter-culture of grace which flows forth from the good news about Jesus Christ.